The Ph.D. program in Falk College’s Department of Marriage and Family Therapy (MFT) was recently awarded reaccreditation by the American Association for Marriage and Family Therapy’s (AAMFT) Commission on Accreditation for Marriage and Family Therapy Education (COAMFTE). 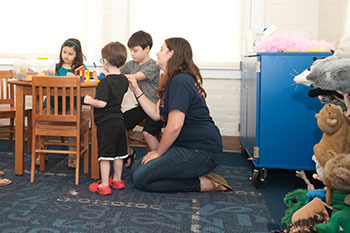 The Marriage and Family Studies Program at Syracuse University is one of the longest-standing and most distinguished programs of its kind in the country. The COAMFTE is a specialized accrediting body that reviews master’s degree, doctoral degree and post-graduate degree clinical training programs in marriage and family therapy. The accreditation process is voluntary and requires self-study by the program, an on-site review by a selected group of peers and a review and decision by the COAMFTE to determine compliance with accreditation standards. Accredited programs are reviewed at least every six years. The marriage and family therapy program at Syracuse University is one of the longest-standing and most distinguished programs of its kind in the country. In addition to its Ph.D. program, the department offers a master’s degree in marriage and family therapy, as well as a dual degree program in social work. The newest offering in the department’s academic portfolio is a Certificate of Advanced Study (CAS) in trauma studies, with additional specialty tracks currently under development. 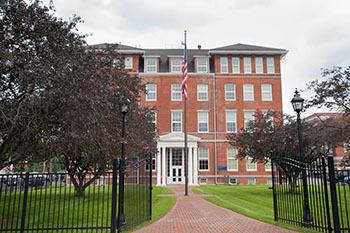 In 2013, Falk College expanded the presence of the Department of Marriage and Family Therapy and its Couple and Family Therapy Center in the Syracuse community with a new location at Peck Hall, 601 E. Genesee St. The program’s expansion continues to yield an increasing the number of trained professionals providing mental health services to meet a substantial need nationally and locally. The U.S. Bureau of Labor Statistics estimates that employment of marriage and family therapists is projected to grow by 30.6 percent by 2022, which is much faster than the average growth rate for all occupations. Peck Hall also supports increased continuing education services to practicing professionals in Syracuse and surrounding communities. For more information about the Department of Marriage and Family Therapy, contact 315-443-9329. For information about the Couple and Family Therapy Center, contact 315-443-3023.